Looking at the properties for the file STE.jar left me confused - changing a file's icon was a simple task on Windows, surely Ubuntu (Linux) would support the same functionality? Yet I could see no buttons on any of the tabs in the Properties dialog that related in any way to changing the icon! Determined not to give up and fuelled by the thought that such a simple task must be possible somehow, I did a quick search and that's when Google saved me. 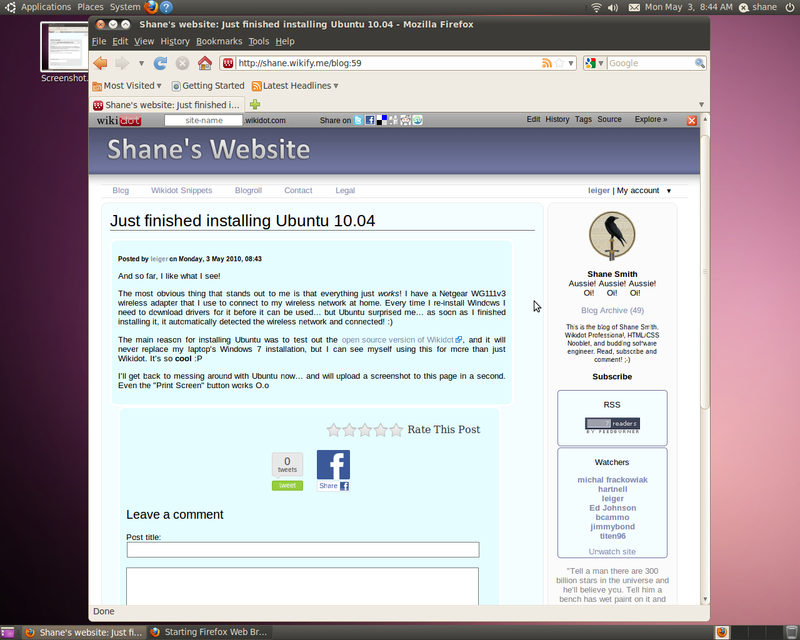 Over on help.ubuntu.com is a fantastic tutorial page titled "Modifying the Appearance of Files and Folders". Select the file or folder that you want to change. Choose File —> Properties. The properties window for the item is displayed. On the Basic tabbed section, click on the current Icon1. A Select custom icon dialog is displayed. Use the Select custom icon dialog to choose the icon to represent the file or folder. Click Close to close the properties dialog. To restore an icon from a custom icon to the default icon, Select the file or folder that you want to change, choose File —> Properties. click [sic] on the Icon button, in the Select custom icon dialog click Revert. Hopefully by spreading this around, someone will read this tutorial before they install Ubuntu, and it'll save them having to search for an answer to this problem. This is my STE application, using a custom icon! Using the same custom icon, for a panel shortcut! 1. In my defense, despite this being extremely simple it was NOT obvious!